The Department of Spanish & Portuguese would like to thank the many alumni and friends who generously support us. Your donations help us to support promising undergraduate majors, attract top faculty and graduate students, and provide them with resources to enrich their learning, advance their careers, and make their experience at the University of Wisconsin more meaningful through the hosting of lectures, conferences, and other scholarly activities. Every gift, no matter the size, makes a big difference and is gratefully received. If you wish to contribute online, you may do so via the University of Wisconsin Foundation. We thank you! $25-50 can help support cultural activities and events for students at La Residencia de Estudiantes, the Spanish-speaking floor at the International Learning Community —for example, film projections, making crafts for Día de los Muertos, or cooking Latino food. $50-100 donations can contribute to fund achievement awards for outstanding undergraduate Spanish majors upon their graduation. These awards are announced and presented at our annual major graduation celebration. $100-200 Workshops on specific topics are often organized by faculty and students in the department and small donations go a long way toward making these events successful. A recent workshop on Romance Linguistics used small donations of $100-$200 to help pay for costs of audiovisual equipment and reduce registration fees for participants. $300-400 donation can help to continue the biannual Spanish play put on by undergraduate and graduate students through the Spanish 564 Course directed by Professor Paola Hernández. The course and the play have led to the creation of “Teatro Décimo Piso” (in reference to our location at Van Hise Hall), a theater group run by students. $500-1,000 can make a significant difference to both undergraduate and graduate students trying to advance field work and research projects. It can also help to reimburse students for the cost of membership in professional organizations or for registrations paid at conferences. $1,000-1,500 This important gift can help bring a visiting scholar to campus to interact with students in and out of classes to enrich their learning experience. The department has brought scholars from across the US, Europe, and Latin America. $2,000-3,000 This significant gift can help make possible an interdisciplinary conference to engage students and the campus community in the exploration of Hispanic letters and culture. Students who participate in the planning of these events hone their organizational skills and gain access to the latest research. $10,000 A gift of this size can help us to offer scholarships to an under-represented minority students and recruit top graduate students. $100,000 and over Large endowments allow us to create named professorships that are essential for attracting and retaining top-quality faculty, and this in turn would also help to recruit top applicants to our graduate programs. This is the Department’s general fund. It allows us to continually improve our programs and offer our students a rich and rewarding educational experience. Among other things, it supports research or travel stipends, undergraduate/graduate workshops, conferences, and publications, receptions for undergraduates/graduates to meet alumni or scholars, special ceremonies, communications, and publicity. 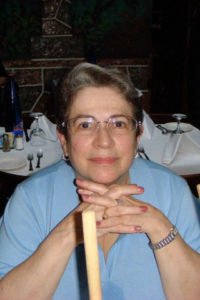 She was a passionate language teacher and would gladly share her knowledge with anyone who was interested. She loved telling us about her time in Barcelona during the Franco years. She was an unashamed technological throwback. She finally moved from a typewriter to a word processor, long after everyone else was using computers. She loved music, games of all kinds (especially Bridge and Canasta), and taking classes. She told her friends funny stories about how much she loved her nieces and enjoyed spending time with them. Her extra job at school (making sure all the classes were covered), which started in the wee hours of the morning, come rain, snow, or freezing rain, was performed better than the post office. I can’t remember her ever calling in sick. To honor Marsha’s lifelong interest in and commitment to Spanish language and culture, the Donors wish to support students and research through the Department of Spanish & Portuguese. Roberto G. Sanchez Distinguished Lectureship Fund (formerly known a the Roberto G. Sanchez Drama Fellowship Fund). The purpose of the fund is to provide financial support for guest lectures dealing with theatre and performance, dramatic productions, performances and academic symposia in the Department of Spanish & Portuguese. A Committee in the Department of Spanish & Portuguese shall approve initiatives to be supported by the Fund. In all other respects, the terms of the MOA dated June 16, 1998 remain the same. The Chair of the Department of Spanish & Portuguese shall approve Initiatives to be supported by the fund. This fund was established with a gift from the Estate of Barbara J. Hycnar Fund of the Fidelity Investments Charitable Gift Fund. This gift is to fund scholarships/fellowships for students studying Spanish language and literature. This gift qualifies under the WDGF Program. Through this program, WARF will supplement the normal endowment expenditure amount to bring the total annual student award to that of a full graduate fellowship for a one-half year as defined by the Graduate School. 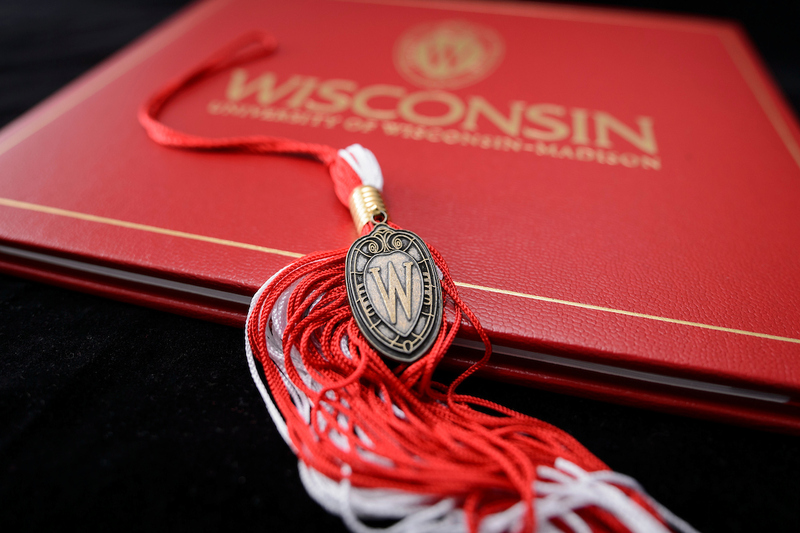 Recipients of this award will be full-time incoming graduate students enrolled in the Spanish program at the University of Wisconsin-Madison and shall be chosen according to the normal graduate fellowship process. The donors wish to recognize outstanding graduate students in or entering the MA or Ph.D. program in Hispanic linguistics in the Department of Spanish & Portuguese. The students nominated for the award will be selected based on their extraordinary potential to succeed in the program or demonstrable excellence in their academic performance. Recipients will be chosen by the faculty members of the Spanish Linguistics section of the Department of Spanish & Portuguese, who will communicate their decision to the Chair of the Department. Laura Bunn, from Madison, WI, is majoring in International Studies, Journalism, and Spanish. Traveling in Spanish- and Portuguese-speaking countries has been a highlight of her undergraduate study at UW-Madison. In 2016-17, Laura studied abroad in Madrid, Spain. In the summer of 2016, she also had the opportunity to go to Rio de Janeiro, Brazil, for a month through the UW Global Gateway scholarship. Her initial experience in Brazil inspired her to independently learn Portuguese. This year, she received a Foreign Language Area Studies (FLAS) Fellowship for Portuguese study at UW, giving her the opportunity to continue improving her Portuguese skills. Experiences in Brazil also prompted Laura to do a research project in Rio de Janeiro in the summer of 2018, as a reporting intern with an NGO, Catalytic Communities. She conducted interviews in Portuguese, transcribed them into English, and wrote in-depth profile stories for RioOnWatch.org about community-based sustainability. As she finishes her undergraduate degree this year, Laura has also started an accelerated master’s program in International Public Affairs with UW’s La Follette School. She is looking forward to a career in public policy or journalism. Ari Seckler is a senior double-majoring in Spanish and International Studies. He is currently interested in attending Law School after graduation and hopes to use his skills as a Spanish and IS major to pursue a career in Immigration Law. He feels fortunate to have been involved in a number of organizations and opportunities (both on and off-campus) that have guided him towards this goal. As a freshman, Ari joined the University Gospel Choir and the Zeta Beta Tau Fraternity (ZBT). His sophomore year, he took on challenging but formative leadership positions within ZBT such as Risk Manager and Director of Humorology, their biggest annual philanthropy. He spent the spring semester of his junior year in Buenos Aires, Argentina, where he studied at two different Argentine Universities and volunteered teaching English to sixth graders. This fall, he is volunteering with the Immigrant Justice Clinic (IJC), an organization through the University of Wisconsin Law School that provides legal services to Wisconsin’s immigrant communities. Through IJC, he conducts one-on-one screenings in Spanish with non-citizens detained by Immigration and Customs Enforcement (ICE) at a Detention Center in Dane County. IJC has given him the opportunities to gain valuable insight into the field of Immigration Law and use his Spanish Language skills in a professional setting. Ari is happy to talk more about his experiences with study abroad and IJC (or any other aspect of his time as a UW undergrad). Feel free to email him!